-- City gal Dani Davis just wants a place to call home. With quirky residents, quaint country charm, and loads of business potential, Miller's Creek Texas seems like the perfect place to start over . . . except for the cowboy who gives her a ride into town. Dani secretly finances renovations to downtown Miller’s Creek, but malicious rumors force her to choose between keeping her involvement a secret and the home for which she’s always longed. 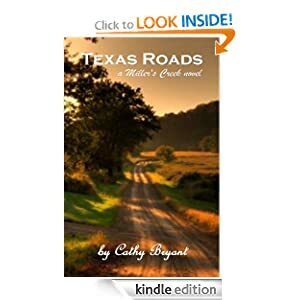 Then a devastating discovery propels her down a road she never expected to travel. 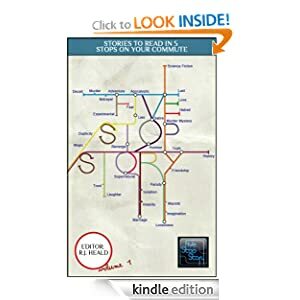 -- A "Five Stop Story" is a short story that can be read in five stops on the London Underground. This book contains 31 stories, all of which can be read in a short journey on the tube or subway. Five Stop Story's first collection presents short stories from some of the best new international writers. From Namibia to Japan, the UK to the US, from award winning writers to brand new talent, Five Stop Story's anthology showcases the best short stories from over 1,000 entries to our monthly writing competitions. The book is split into five sections: In “Tales of Betrayal” there are multiple affairs, a prison breakout and a murder. “The Journey of Life” contains the stories of some intriguing characters. “A Lighter Touch” provides light relief and satire that will make you laugh out loud. “Life-changing Events” focuses on those fateful moments when your life pivots and changes, by accident, or by design. Finally, “A Slice of Life” absorbs you in individual, yet revealing moments in the lives of ordinary people. The stories are quick, enjoyable reads that are ideal for spare moments; whether you're waiting to meet a friend for coffee, on your way to work on the tube or even waiting for the bus. -- A dying child counts angels in her room. A teenage boy stuns doctors by recovering from a massive brain injury. 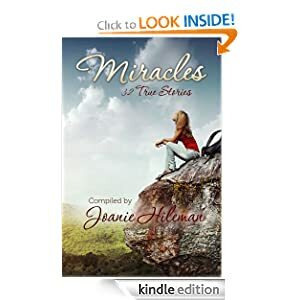 A bubble of protection surrounds a man about to be hit by a car...These miraculous accounts and twenty-nine more are recorded in Miracles: 32 True Stories. -- The four fearless scouts from Troop 13 are back again for another wild adventure, this time at a dude ranch in the western plains of Nevada. 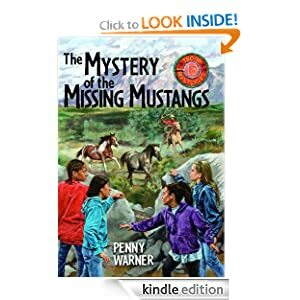 While learning how to care for horses, thirteen-year-old Sierra and her three best friends CJ, Becca, and Jonnie learn about the mysterious disappearance of government-protected wild horses, one of which was supposed to be adopted by their new friend Devyn. -- Whoever said nothing good in life comes easy must have never owned a slow cooker. Slow cooking offers the best of both worlds — hearty, healthy meals with minimal effort. The slow cooker, or “Crock Pot” as it is commonly referred to, is well known for its delectable pot roasts and savory stews, but what is less known is that it is capable of so much more. 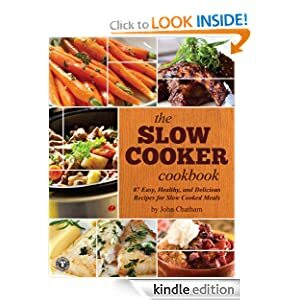 Enter bestselling author John Chatham’s latest creation, The Slow Cooker Cookbook, which features 87 recipes that will put your slow cooker to use from breakfast to dessert. The Slow Cooker Cookbook helps eliminate that dreadful feeling of coming home from work tired and wondering what’s for dinner. If you own a slow cooker you already know that it’s the easiest appliance to operate in the kitchen. But it takes too long you say. Well, that’s the point. A slow cooker allows you to throw some ingredients in the pot, safely walk away and get on with your life while it does the work. This cookbook offers recipes for all the traditional comfort food favorites like pot roast, beef stew, pulled pork, BBQ baby back ribs, old fashioned meatloaf, butternut squash soup and even mac ‘n cheese. Imagine your home filled with the spicy aromas of Tandoori Chicken, Chicken Ranchero Enchiladas or Braised Asian Beef. Dozens of international recipes feature meals you never dreamed of actually making yourself. And with the slow cooker doing all the work you will feel as though you are dining out. Sounds appealing, but you don’t eat meat? The Slow Cooker Cookbook dedicates an entire chapter of recipes to fish and seafood, and is filled with numerous hearty vegetable dishes like White Bean and Rosemary Soup, Eggplant Parmesan and Vegetarian Cassoulet. And if slaving over the stove is your passion then most likely you’re not the baking type. Let the slow cooker make dessert. From fruit crumbles and cobblers to hot fudge cake there’s virtually no recipe that this cookbook doesn’t offer. I tried to get the slower cooker book lastnight and today but it says the cost is 1.99.